Having an infant can be stressful at times no matter where you are living. When in an emergency shelter, this task can be even harder. You can help ease the worries of new parents staying in emergency shelters this holiday season. The infant care kits provice vital baby formula, new diapers and fresh wipes. Each kits provides enough to last four days. 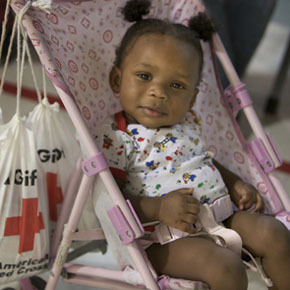 For $150 three infants can be taken care of, for $100 two infants and for $50 one infant can have an infant care kit to help during the stressful time. These kits can be found in our catalog or online.